In TUUB blog we speak with inspirational women about life and light travelling. Meet the ultimate fan of travel & adventure! Taking care of one’s mind is even more important than minding one’s body. 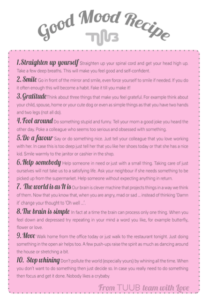 Maintaining a constantly good and positive mood is an integral part of good life. There are hundreds of ways of raising the spirit, but who has the time to keep track of all those, hence the cool and fun team of TUUB has handpicked ten most important tips for you. These tips have been put together from the pages of really wise books, from seminars and lectures, but also from our own wisdom from trial and error method. Do use them one by one or one at a time or even all at one day, but most importantly do use them. STRAIGHTEN UP YOURSELF Straighten up your spinal cord and get your head high up. Take a few deep breaths. This will make you feel good and self-confident. SMILE Go in front of the mirror and smile, even force yourself to smile if needed. If you do it often enough this will become a habit. Fake it till you make it! GRATITUDE Think about three things that make you feel grateful. For example think about your child, spouse, home or your cute dog or even as simple things as that you have two hands and two legs (not all do). FOOL AROUND Do something stupid and funny. Tell your mom a good joke you heard the other day. Poke a colleague who seems too serious and obsessed with something. DO A FAVOUR Say or do something nice. Just tell your colleague that you love working with her. In case this is too deep just tell her that you like her shoes today or that she has a nice kid. Smile warmly to the janitor or cashier in the shop. HELP SOMEBODY Help someone in need or just with a small thing. Taking care of just ourselves will not take us to a satisfying life. Ask your neighbour if she needs something to be picked up from the supermarket. Help someone without expecting anything in return. THE WORLD IS WHAT YOU MAKE OF IT Our brain is clever machine that projects things in a way we think of them. Now that you know that, when you are angry, mad or sad … instead of thinking ‘Damn it’ change your thought to *Oh well …’. THE BRAIN IS SIMPLE In fact at a time the brain can process only one thing. When you feel down and depressed try repeating in your mind a word you like, for example butterfly, flower or love. MOVE Walk home from the office today or just walk to the restaurant tonight. Just doing something in the open air helps too. A few push-ups raise the spirit as much as dancing around the house or stretching a bit. STOP WHINING Don’t pollute the world (especially yours) by whining all the time. When you don’t want to do something then just decide so. In case you really need to do something then focus and get it done. Nobody likes a crybaby. 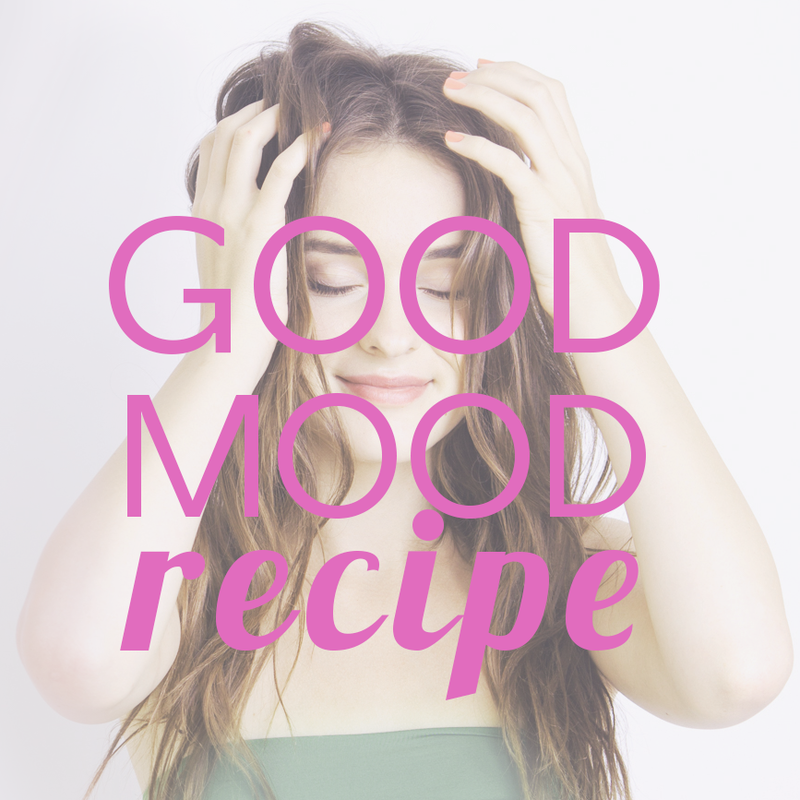 Want to receive the Good Mood Recipe to your mailbox + get 10 € TUUB gift card?